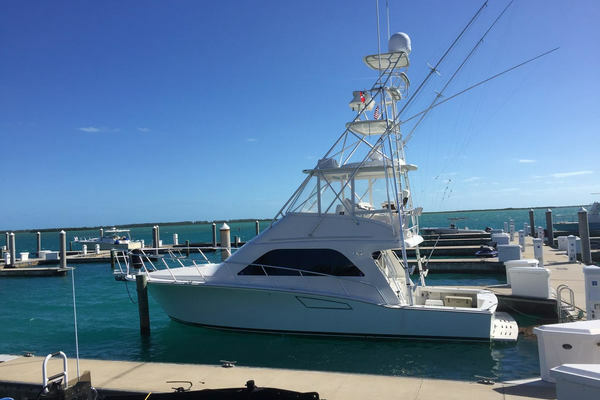 The 44 Ocean is a great boat for offshore or inshore fishing. It has all the comforts of home for a weekend getaway or traveling the waterways. 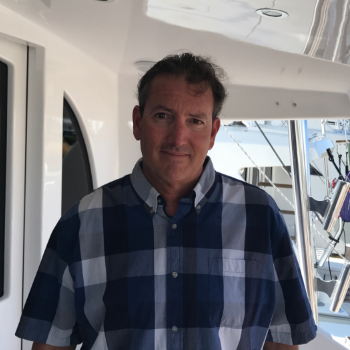 United Yacht Sales New Jersey would love to guide you through a personal showing of this 44' Ocean Yachts 44 Super Sport 1988. 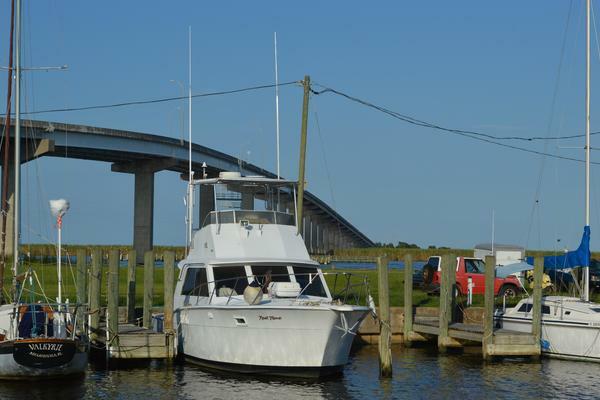 This yacht for sale is located in Wildwood, New Jersey and priced at $79,000. For a showing please contact us by filling out the form on this page and we will get back to you shortly! Starting from the stern. There are teak covering boards and a teak deck. The bulkhead has a freezer and tackle center. On the starboard side in the cockpit is a steering station. The entrance to the salon is on the starboard side. As you enter the salon there is a breaker panel cabinet on the starboard side. A barrel seat is on the same side. Forward of that is a countertop with bar stools. On the left side as you enter is a large L-shaped couch. Forward isthe salon and the entertainment center. On the port side are stairs that bring you down to a big galley. On the port side is a guest stateroom and guest head. Forward of the galley is the master / day head. All the way forward is the master stateroom. The entrance is on the starboard side. As you walk in there is a L-shaped couch on the port side. On the starboardside, there is the breaker panel and cabinet. Forward of that is a barrel seat. Forward of the seat is counter with bar stools. On the port side forward is the entertainment center. The entire salon is carpeted. All of the wood is teak with a satin finish. It is a peninsula helm connected to the port side with 2 helm chairs. Seating in front of the helm and on the starboard side. Several of the electronics are at the helm with the rest in the overhead box.